For me Terry Pratchett is the man. Discworld was my first meeting with him. Since then I have gotten to know him better through his cooperative work with other authors. This way he has spread my knowledge of other authors and interest in other types of science fiction and fantasy. On his website I eventually discovered that Pratchett has developed Alzheimer’s disease. My parents now have friends who have had Alzheimer for quite a while and I have gotten to see some of the effect of that disease. They have also shared with me how these individuals show the symptoms of Alzheimer and how the person they knew disappears slowly but surely. As late as 2014 May 13 Terry Pratchett writes the article Those of us with dementia need a little help from our friends in The Guardian. He has been able to place a rather famous face in the Alzheimer camp supporting the cause with both words and money for research. Due to the nature of the disease Terry Pratchett has quite naturally had many thoughts about how it is going to affect him. When will the moment come when his ability to make choices for himself disappear? 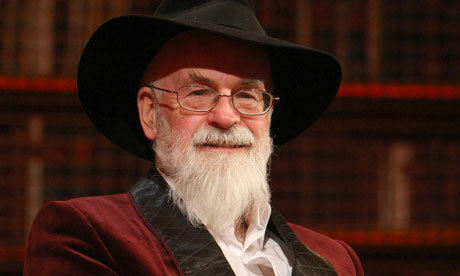 BBC’s documentary Choosing to Die with Terry Pratchett is bound to make an impression on the viewer. I was touched by it and remained thoughtful a long time after viewing it. Alzheimer’s is very definitely not the only disease that has a terrible progression. In Choosing to Die we get to meet two people who are choosing to die before their body gives in on its own to MS and ALS. My own thoughts on the matter are that I would very much like to choose to die rather than have to endure an awful ending. The film seems to have disappeared from the net. Wanda Sykes is hilarious. Sure she is politically astute and opinionated, but mostly she is funny. Laugh until I cannot make a sound kind of funny. I really needed I’ma Be Me. Some of the audience laughed so loud and hard they must have wet themselves. I loved her piece on the Obamas. When she got to the part about the White House rocking I was a goner. Wanda’s humor is warm-hearted and tender yet harsh. Give yourself a treat and get this DVD.